Bodyguard T240S Ortho Treadmill (2012) comes with an addition of a premium orthopedic belt the T240S Ortho maximises shock absorption benefits while maintaining the same space efficient, simple to use features that T240 series is known for. 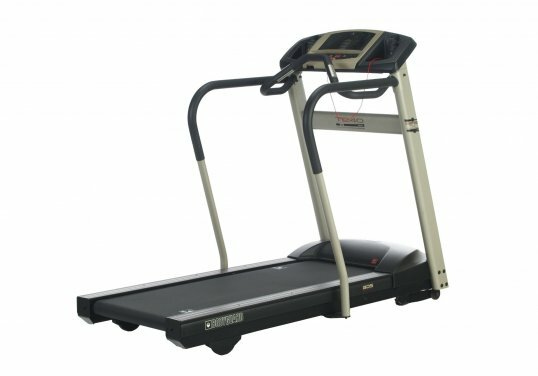 TreadmillDoctor.com 6.33 out of 10 The T240S model with an ortho belt added. Helps cushioning, hurts reliability in the long haul. *Note: Most of the sites, stores or shopping portals listed above sell Bodyguard T240S Ortho Treadmill (2012) with discounts and other exciting offers. There is a possibility that the some of above websites are not selling Bodyguard T240S Ortho Treadmill (2012) now. Toughtrain.com is not liable for such cases or instances. Also we do not recommend any seller for Bodyguard T240S Ortho Treadmill (2012) and a buyer should buy from where he/she gets best deal with quality of products, service and on time delivery (shipment).